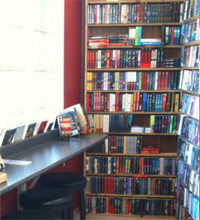 Our family owned and operated bookstore has been established in the heart of down town Langley for the last 14 years. We pride ourselves on being the cleanest and most organized used book store with all of our inventory categorized & alphabetized to make your visit an enjoyable one. We have over 100,000 books discounted up to 50% off for all reading levels and ages. Full speciality coffee menu, including Frappuccino, Iced coffee, fruit smoothies and other delicious hot and cold beverages for you to enjoy while visiting us. Certain Older & Rare books are not on our Website. If you do not see the book you are looking for please contact us so we may check to see if the book you are looking for is in stock. We also take customer requests & we will contact you as soon as we find the book you are looking for. Unfortunately at this time our on-line Payment & Shipping are not up and running, but we will be offering this service in the near future. At this time we do offer to hold your books for pick up & payment at our Langley Store. Sorry for any inconvenience. 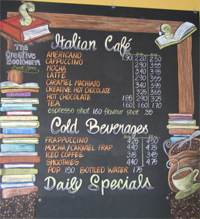 At The Creative Bookworm we offer in store credit for your previously read books. Please note that we base this on condition, popularity of author and already existing stock. We have the right to refuse books including ones purchased at our store due to these reasons. We will give you 25% of the resale value towards your in store credit for you to use towards your next purchase. If you bring in 10 books that we sell for $4.00 each we will give you 25% of that value, which is a total of $10.00. If you purchase $10.00 in books you can use 50% of your credit ($5.00) towards the purchase and the remainder of your credit ($5.00) remains in our system for future discounts on our books. Please note that credit can not be used on brand new books and certain other books marked no credit (NC) in our store. If you are interested in selling your books, please contact us ahead of time to see if the available person is in to look at the books you are selling. 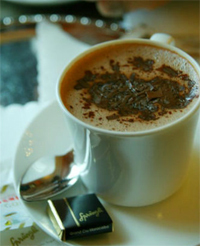 We base our purchase price on the condition of the book, popularity of author and existing stock. You also have the option to email or fax us the list of books you are selling. Come and see us today and let one of our friendly, knowledgeable staff help you find your favorite book or gift idea.